The statement joy comes in the morning is incomplete without the preceding part. Yes, there will be weeping. There will be night! These will be seasons filled with tears, despair and pain. Yet we know that these will not last forever, they will come to pass. 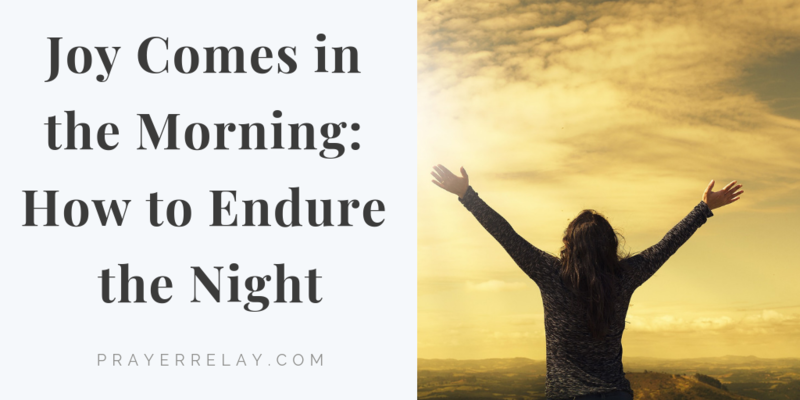 Just as the son of man was sent to bring light into a dark world, morning will come to you. When dawn arrives what has been your terror at night will be revealed and brought to shame. There is joy in redemption. This is what your morning will look like. I don’t know what you are going through right now, but morning will arrive. And with it will come joy. Joy is your place of promise. The night not a comfortable place to be, but you are in great company. The Holy Bible is packed with men and women who endured great nights, as they awaited their joy that was to come in the morning. And boy, did that joy come in the morning! These are people who had moments of despair and even of doubt as they walked through darkness. The most difficult part of all of this is when darkness lasts longer than we thought it would. It is perhaps even harder when you know what is ahead of you. It is easy for the word that you carry to become a great scourge to your spirit. Yet we now what the word of God says about those who wait on the Lord. The promise of Isaiah 40:31 is what most of us long for when we are waiting for the morning to bring us joy. We long to have our strength renewed, to not grow weary and not faint. 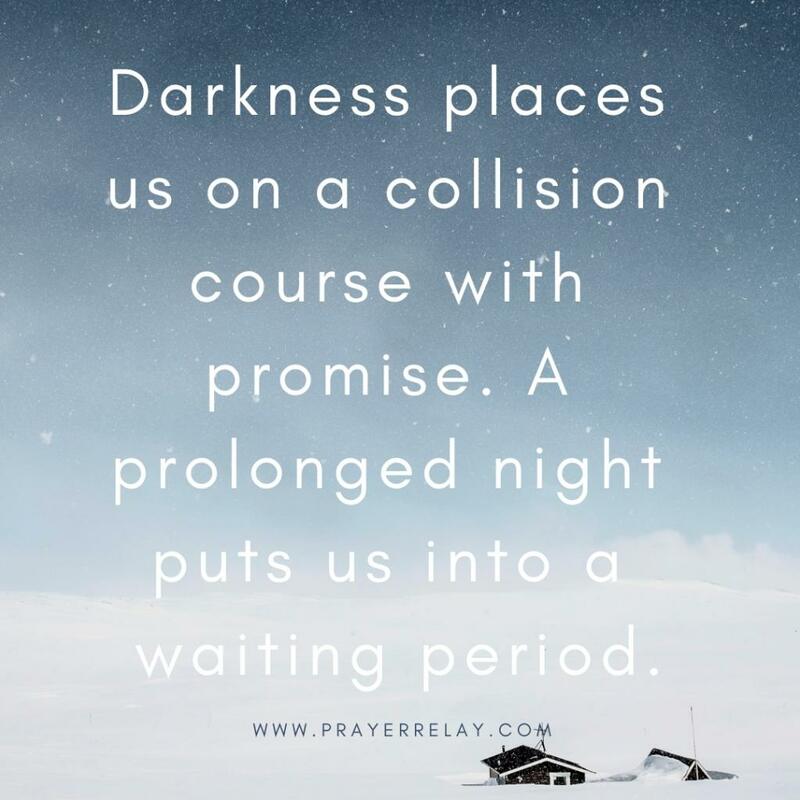 Darkness places us on a collision course with this promise. A prolonged night puts us into a waiting period. The contingence factor is is whom you are waiting for. I don’t know about you, but my help comes from the Lord. Let us look at some people who walked before us with our faithful God. Abraham is not called the father of faith for no reason. He is a man who left everything behind to follow the Lord. His family, his customs, his land and all he had known his who life. What carried him from there was a promise from the Lord. There would be long nights along the way, yet he knew joy would come in the morning. Having been promised that he would be father of nations, he watched him and his wife age. He held on for a while, then began to let go. Understand that it is not easy to endure these things. It puts your faith to the test. His wife’s faith was found wanting when she laughed at the prophecy that they would now have a son, having aged. Taking matters into our own hands by urging Abraham to seek morning in the arms of her servant Hagai. 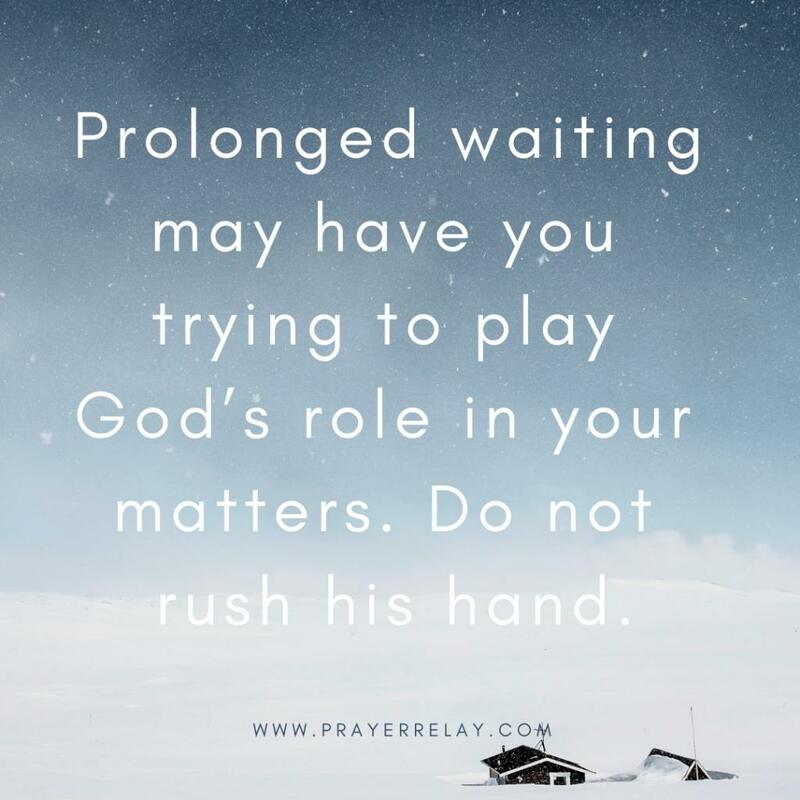 Prolonged waiting may have you trying to play God’s role in your matters. Do not rush his hand. As the angel asked Abraham, I will pose the same question to you today. Is there anything too hard for the Lord? Joseph saw the joy that was to come in through his dreams. Be careful whom you share news with. Some people are happy to encourage you to endure darkness, but not as keen to see your morning come. 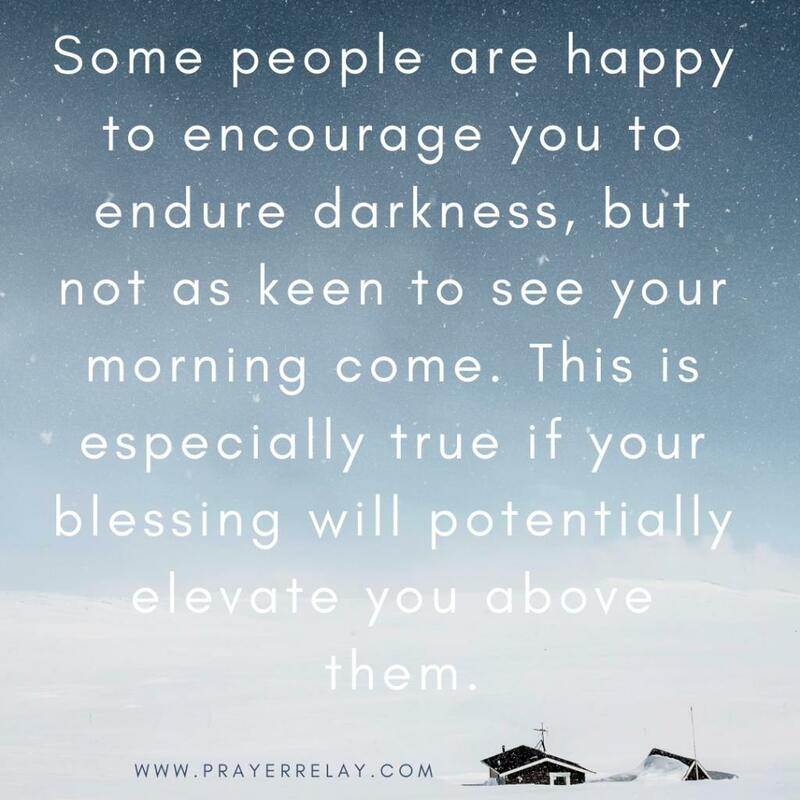 This is especially true if your blessing will potentially elevate you above them. His own brothers thrust him into darkness. They sought to dim his light. Yet, when your morning is coming, no devil in hell can stop it! It may not happen in an instance, but it will surely come to pass. Waiting on the Lord will test your faithfulness. Joseph could have slept the Potiphar’s wife and found some form of “joy”. Yet, he was faithful to wait on the Lord. He was ready to endure the weeping in the night that was the prison, knowing that his joy would come in the morning! And it came! When morning comes, the Lord will cause those how sought to dim your light to watch you shine brightest. Let that be your testimony! Few preachers ever talk about the trouble and turmoil that King David endured, having been anointed. Having been anointed King, he was taken from tending sheep to dodging spears! He spent a long time in exile, on the run from a man who was sitting on a sit that the Lord had give to him. Surely he should have wondered, but Lord you said I would be king, why is this man still alive and taunting me. I believe this is the reason why David would later praise God the way he did. The Bible says he danced until he clothed ripped! 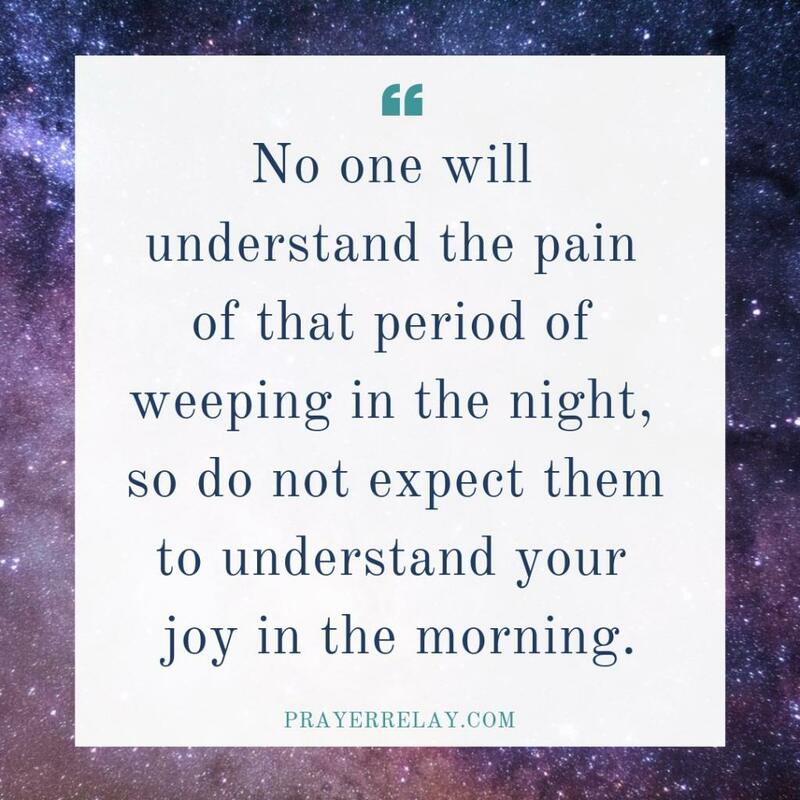 No one will understand the pain of that period of weeping in the night, so do not expect them to understand your joy in the morning. One of the most iconic moment in the journey of the Israelites from Egypt to the promised land is when they stopped Moses and grumbled. The darkness you have moved us from was better than where we are now. This is what they were saying to Moses. What we tend to forget is that light comes in progressively. It will always overtake darkness but always starts as a flicker, or a spark. Trust the process. Our God is sovereign. 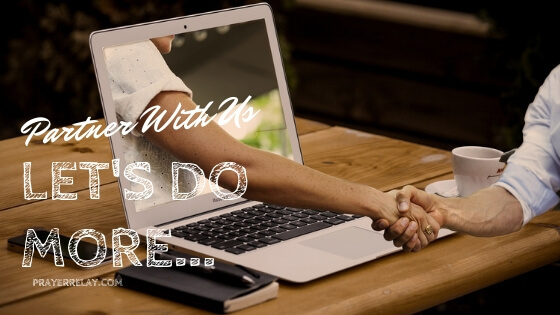 Just because you do not see or know what he is doing doesn’t mean he is not doing anything. Whatever you may be going through right now, morning is coming. Joy will come with the morning!